Daisy, meaning “day’s eye,” is a great name for girl dogs who are outgoing or eager to please. Find out more about dogs named Daisy. Meaning: Derived from the flower name, which comes from the Old English word dægeseage, meaning “day’s eye.” Daisy is also a nickname for Margaret. 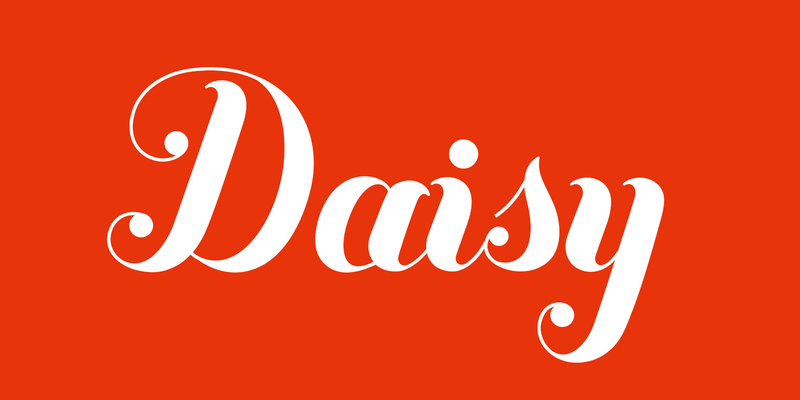 About This Name: Famous Daisys can be found in several career fields, from modeling to bronze medal–winning Olympic competitors. A yellow Lab named Daisy co-starred alongside Clint Eastwood in the movie Gran Torino. According to IMDb, Daisy was Eastwood’s beloved real-life dog, but she was actually named Holly. And of course, although she isn’t a dog, we all know Daisy, the famous Disney duck. Finally, if you have ever read The Great Gatsby, you will no doubt remember the beautiful former debutante Daisy Buchanan, a particular obsession of the mysterious millionaire Jay Gatsby. Is Your Dog Named Daisy? Leave us a comment below with a photo of your Daisy! Why do you think Daisy is the perfect name for a dog? We can’t wait to hear from you.